Well, it’s almost here. I certainly wouldn’t know it by the weather – needed the A/C in the car today (! ), but the checkout line at World Market that snaked around the store and reached the back wall certainly clued me in that Christmas was near (one look at that line and I hightailed it out of there pronto – totally didn’t need cellophane bags that badly). These you want. Crunchy almonds with a slightly-sweet-and-spicy gingerbread coating. 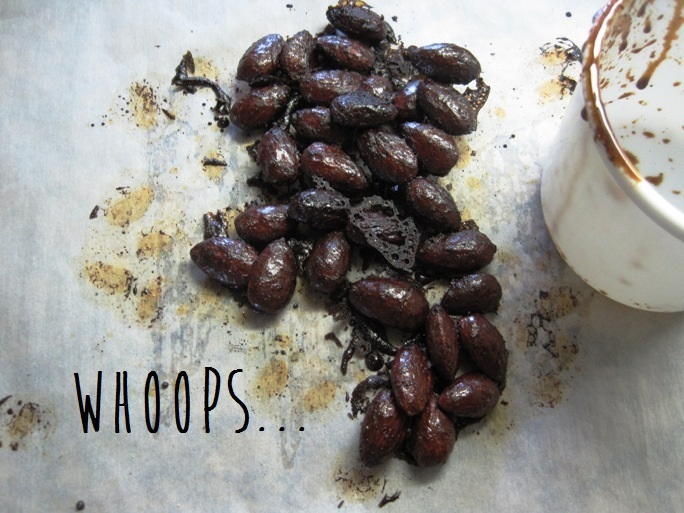 They pop easily off of the parchment paper (and pop easily into your mouth). 1. Preheat oven to 325°F. 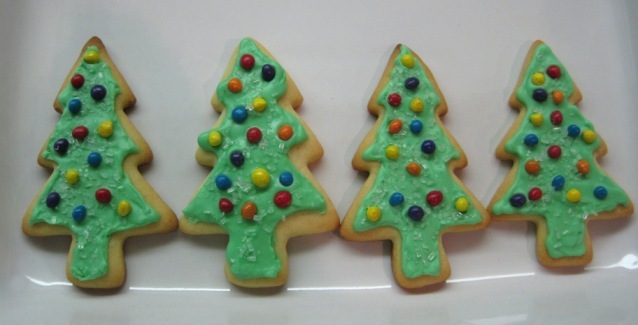 Lightly spray cooking spray onto baking sheets and then line with parchment paper. 2. 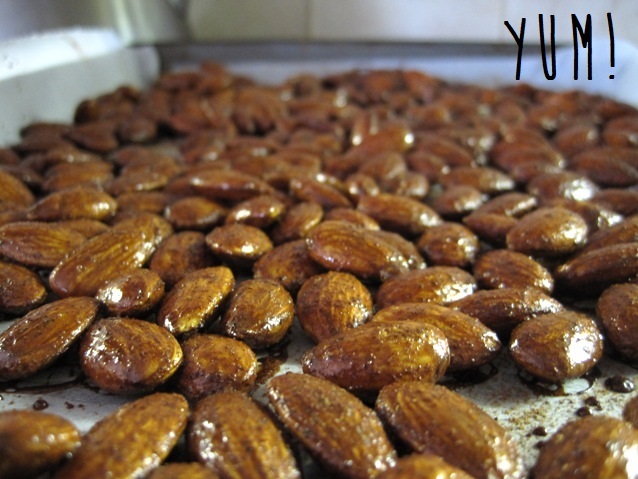 Pour almonds into a large bowl. Add agave, molasses, vanilla extract, cinnamon, ginger, and cloves. Using a spatula sprayed with cooking spray, mix all ingredients together so that the almonds are evenly coated. 3. 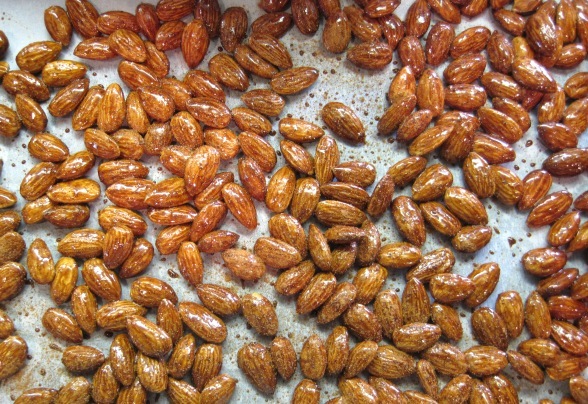 Using a scoop, place almonds in a single-layer on baking sheets. I used a scoop instead of just pouring because there was excess agave/molasses mixture at the bottom and I didn’t want the almonds to be too goopy on the baking sheets. 5. Let cool completely on tray so they crisp up. 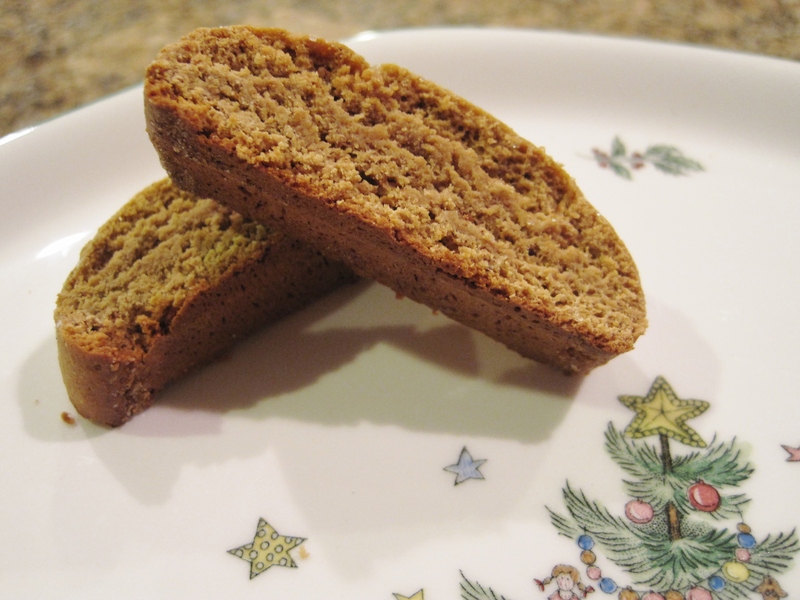 As we’re already hurtling into mid-December I realized I better get myself in gear, and what better way to do so than with the aroma of baking gingerbread wafting through the house? Only one near hiccup happened when the supermarket appeared to be out of molasses, which really would have been game over on the gingerbread that night, but I reached a hopeful hand up on the top shelf and found one jar pushed towards the back. Whew. 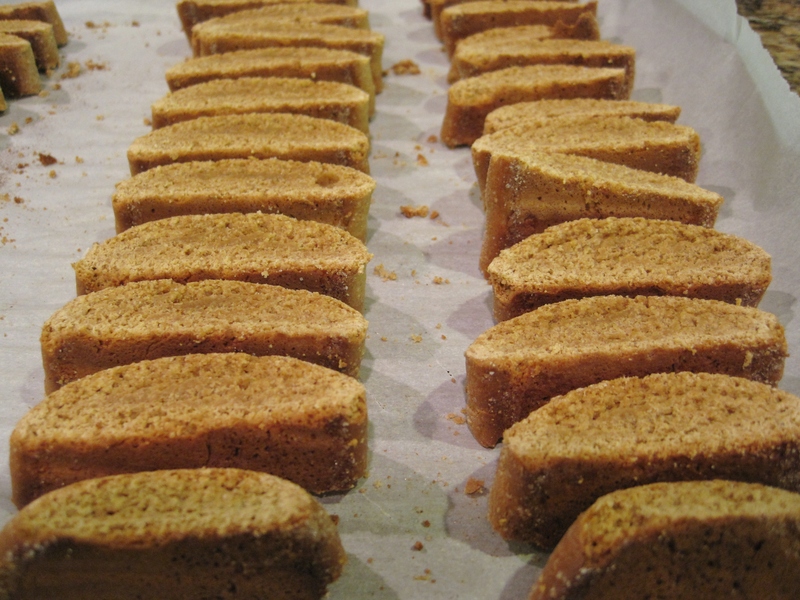 Let there be biscotti. 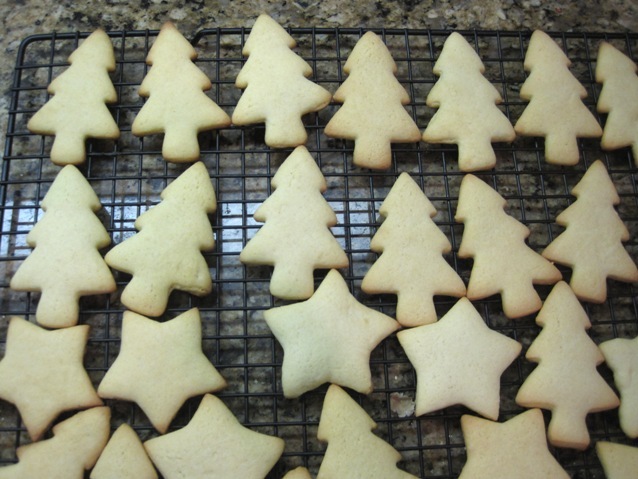 Some notes on these cookies: They certainly are crispy, but they’re not rock-hard-break-your-teeth crispy. In other words, you won’t need to dunk them in coffee in order to chew through (but I bet that would taste delicious). 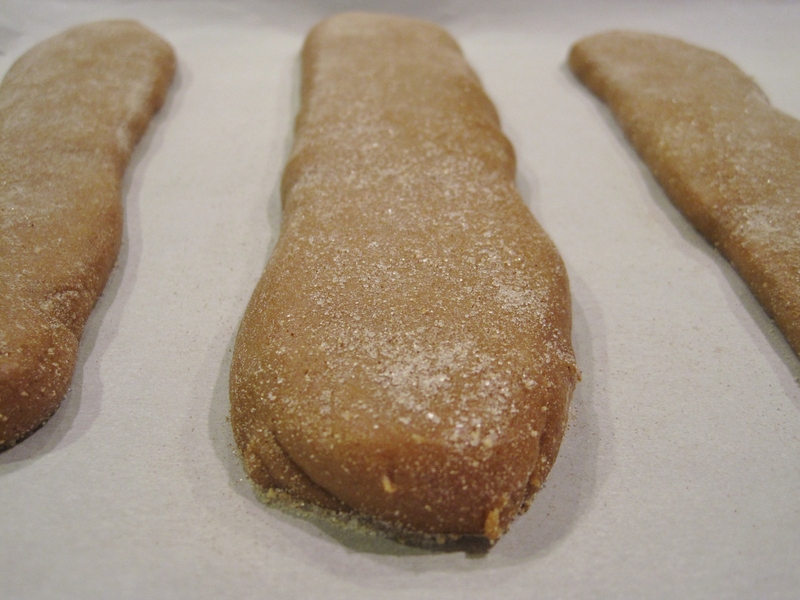 They require a little extra baking time, as they take two shifts in the oven (as biscotti do), and the dough is sticky. You’ll see in the pictures that follow, but please flour your hands, work surface, and spatulas judiciously or else you’ll be more Bah humbug than Christmas cheer. 2. In a large bowl, mix together your dry ingredients: flour, sugar, baking powder, salt, spices, and 2 tbsp of the chai tea latte mix. 3. In a medium bowl, lightly beat eggs. Add canola oil, vanilla extract, and molasses. Pour wet ingredients into dry and mix until well-integrated. 4. 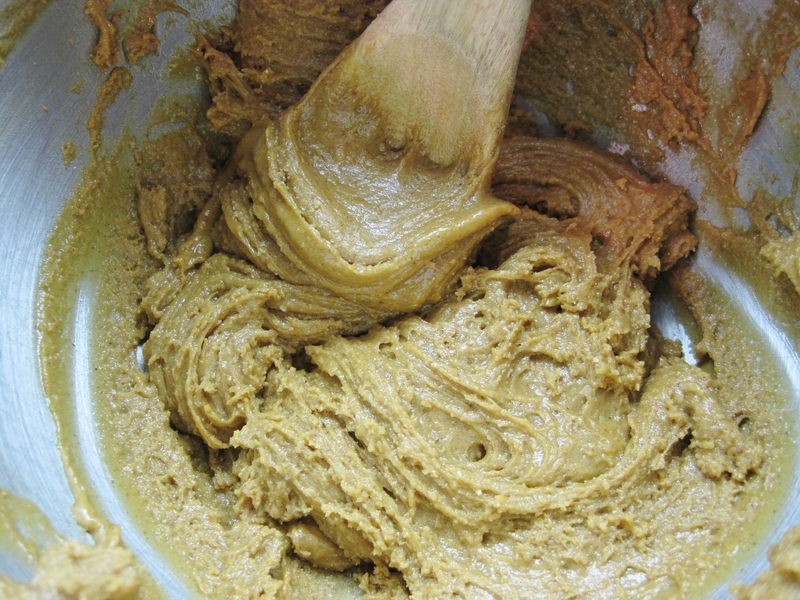 The batter will be very sticky, so flour your hands, spatula, and work surface before removing the dough to work with. 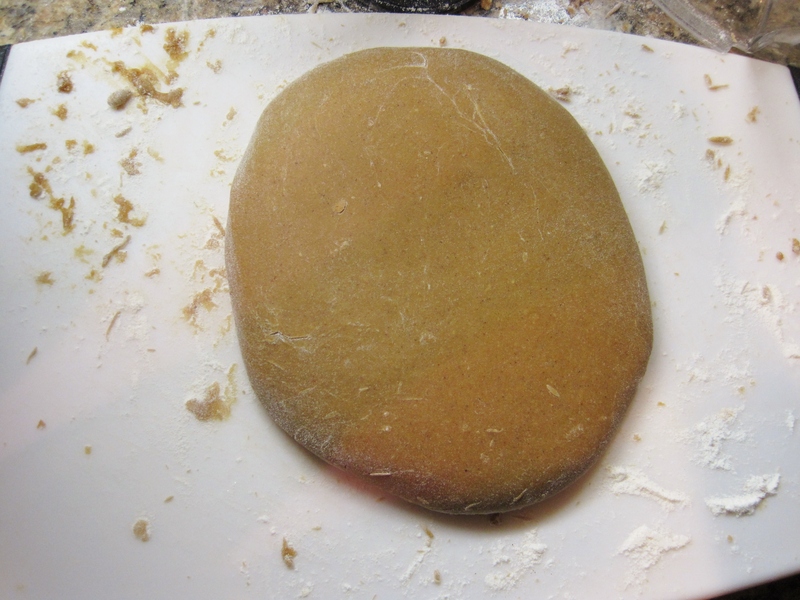 Lightly knead dough on floured surface, adding more flour as you need. I worked about 2-3 tbsp of flour into the dough during this process. 5. Once dough is workable, separate into four equal sections. Working one section at a time, roll into a cylinder. Depending on the stickiness of your dough, you still may need to roll in more flour. 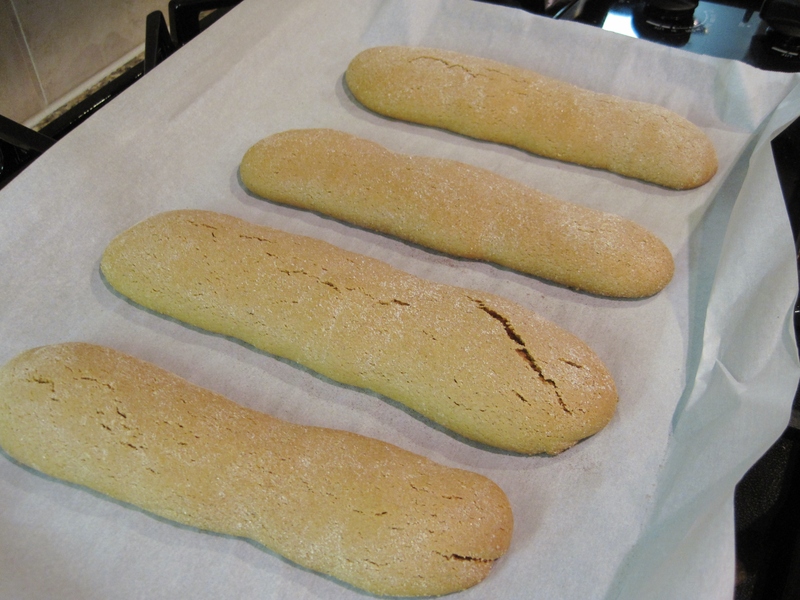 Place on baking sheet and lightly pat down so that thickness is even throughout the cylinder. Repeat for 3 remaining sections. 6. 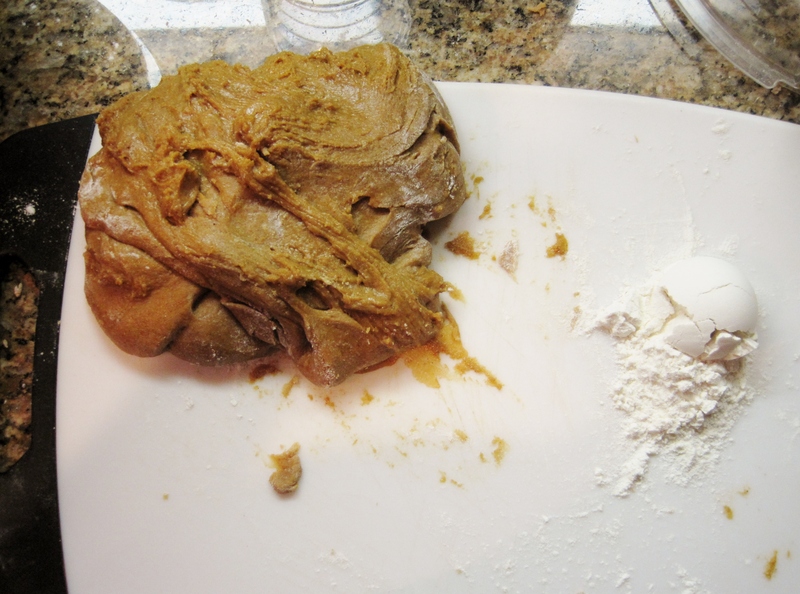 Rub some more of the chai tea latte mix onto outside of four sections and lightly press to adhere. 7. Bake for 15 minutes, then remove. 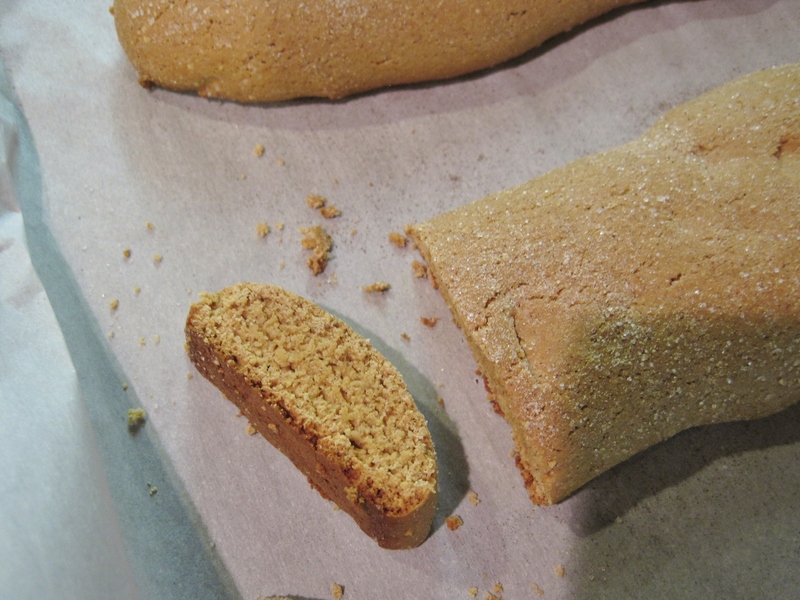 Cut each log into 3/4-inch strips, then place each cookie onto its side. Bake for an additional 5-7 minutes so that the edges crisp up. 8. Once edges are toasty brown, remove from oven and let cool. Hi! I'm Alyssa, a twenty-something recent San Diegan with a penchant for baking, boots, and pretty little things.